What is Solar Powered Wireless Remote Control? SPWCS Series - Solar Powered Wireless Remote Control System are pre-configured, pre-wired and ready to install. This solar powered series provides a fast, economical solution for wireless remote control of pumps, motors or valves. Each pre-assembled unit features a complete solar power system, wireless transmitter/receiver module, circuit breakers, din-rail terminal blocks and control relays. WCS-900 Series - Wireless Remote Control System are pre-configured, pre-wired and ready to install. Series provides a fast, economical solution for wireless remote control of pumps, motors or valves at a distance of up to 6 miles between the transmitter and receiver. Each pre-assembled unit features a 12VDC or 120VAC operation, wireless transmitter/receiver unit with 1, 2, 4 or 8 control lines, din-rail terminal blocks and mechanical or SSR control relays. 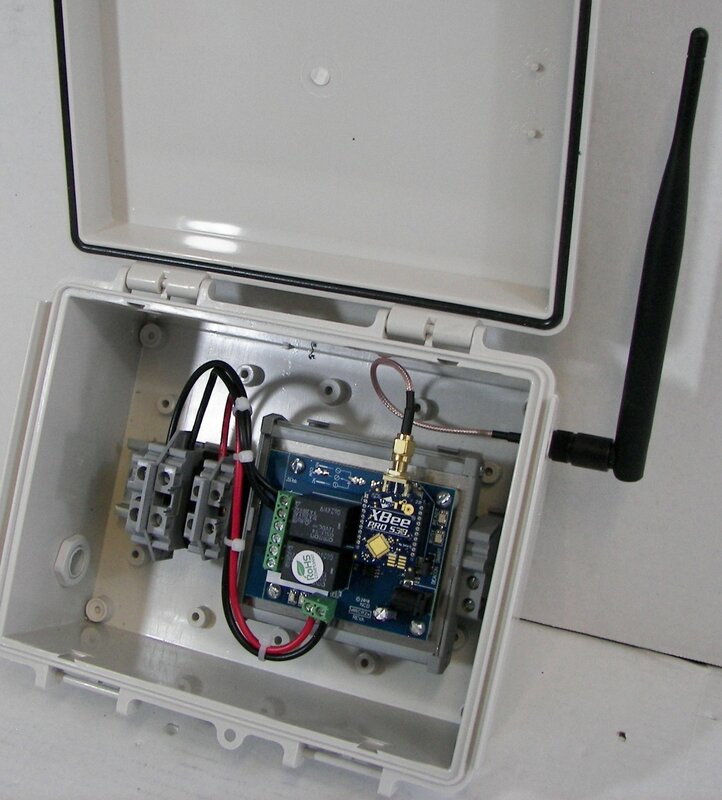 WCS-24 Series - Wireless Remote Control System are pre-configured, pre-wired and ready to install. Series provides a fast, economical solution for wireless remote control of pumps, motors or valves at a distance of up to 1 mile between the transmitter and receiver. Each pre-assembled unit features a 12VDC or 120VAC operation, wireless transmitter/receiver unit with 1, 2, 4 or 8 control lines, din-rail terminal blocks and mechanical or SSR control relays. Series WRCS900 Wireless Switch/Control System provides a wireless bridge between any type dry-contact switch and a control relay. When a switch connected to the transmitting unit opens or closes signals are sent via a license free radio signal to a receiver unit up to 6 miles (Line-of-site) away. When the control box receives the proper wireless signal from the transmitter a control relay inside the panel is energized to operate a pump, valve or motor. Series WCS-CT-27 Long Distance Wireless Transmitter/Control Panel System provides a wireless bridge between any type dry-contact switch, PLC or Controller and an electro-mechanical contactor. When a switch connected to the transmitting unit opens or closes signals are sent via a license free radio signal to a receiver unit up to 6 miles (Line-of-site) away. Control Panel models feature latching or non-latching versions. Models are available with 1, 2, or 3-Pole Contactors. Series WPC24-XL Wireless Switch/Control System provides a wireless bridge between any type dry-contact switch and a control relay. When a switch connected to the transmitting unit opens or closes signals are sent via a license free radio signal to a receiver unit up to 1 mile (Line-of-site) away. When the control box receives the proper wireless signal from the transmitter a control relay inside the panel is energized to operate a pump, valve or motor. 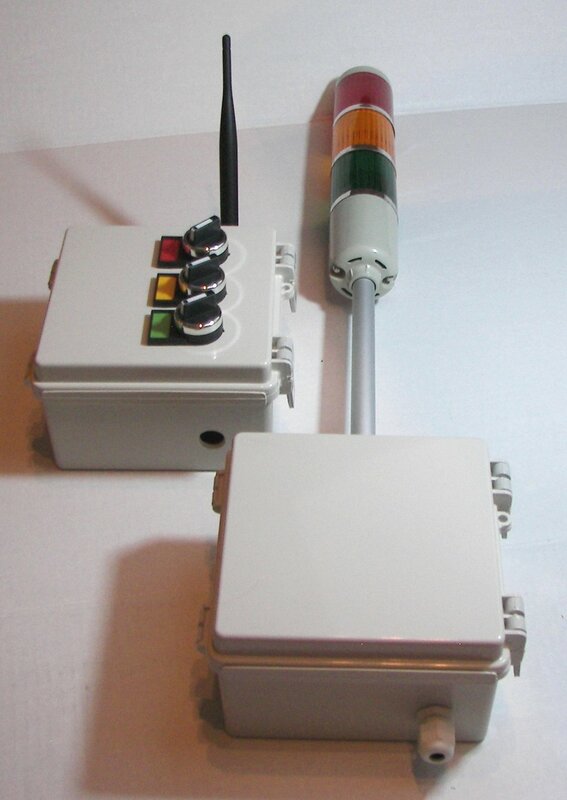 Model WPUCS-24-XL Wireless Level Switch/ Pump Control System provides a wireless bridge between two dry-contact level switches and a set of latching and control relays connected to a pump. When a tank upper level switch activates dues to a lowering of the tanks water level a signal is sent via a license free radio signal to the receiver unit up to 6 miles (Line-of-site) away to energize a latching relay that controls a pump operation relay. The WCS24-OC Series Wireless Remote Control System allows for remotely activating equipment from a distance of up to 1 mile away using license free wireless 802.15.4 communication. The transmitter is equipped with up to four contact closure inputs that are used to control open-collector outputs on the receiver unit. Models are available with 1, 2 or 4 control lines. Transmitter can be activated with dry-contact switches or connected to a PLC for automated control. The WCS900-OC Series Wireless Remote Control System allows for remotely activating equipment from a distance of up to 6 miles away using license free wireless 900 MHz communication. The transmitter is equipped with up to four contact closure inputs that are used to control open-collector outputs on the receiver unit. Models are available with 1, 2 or 4 control lines. Transmitter can be activated with dry-contact switches or connected to a PLC for automated control. The WCS2W24-OC Series Wireless 2-Way Remote Control System allows for remotely activating equipment from a distance of up to 1 mile away using license free wireless 802.15.4 communication. Each transceiver in the set is equipped with up to two contact closure inputs that are used to control open-collector outputs on the oposing unit. Models are available with 1 or 2 control lines. 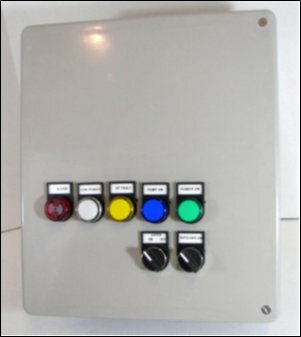 Control signals can be activated with dry-contact switches or connected to a PLC for automated control. The WACSL-24 Series Wireless Analog Control System allows for remotely monitoring or controling equipment from a distance of up to 1 mile away using license free wireless 2.4GHz 802.15.4 communication. Each set features either one or two analog signal inputs and outputs. Both the transmitter and receiver are equipped with one contact closure input that is used to control a open-collector output on the opposing unit. The WACSL-900 Series Wireless Analog Control System allows for remotely monitoring or controling equipment from a distance of up to 1 mile away using license free wireless 900 MHz communication. Each set features either one or two analog signal inputs and outputs. Both the transmitter and receiver are equipped with one contact closure input that is used to control a open-collector output on the opposing unit. Series WPC900-XL Wireless Switch/Control System provides a wireless bridge between any type dry-contact switch and a control relay. When a switch connected to the transmitting unit opens or closes signals are sent via a license free radio signal to a receiver unit up to 6 miles (Line-of-site) away. When the control box receives the proper wireless signal from the transmitter a control relay inside the panel is energized to operate a pump, valve or motor. Series WPC2W900-XL Wireless 2-Way Switch/Control System provides a wireless bridge between any type dry-contact switches and control relays. When a switch connected to one of the tranceiver units opens or closes signals are sent via a license free radio signal to a corresponding unit up to 6 miles (Line-of-site) away. When the corresponding unit receives the proper signal a control relay inside the panel is energized to operate a pump, valve, motor or alarm. Series WPC27 Long Distance Wireless Switch/Control Panel System provides a wireless bridge between any type dry-contact switch and an electro-mechanical contactor. When a switch connected to the transmitting unit opens or closes signals are sent via a license free radio signal to a receiver unit up to 6 mile (Line-of-site) away. When the pump control panel receives the proper wireless signal from the transmitter a power contactor inside the panel is energized. 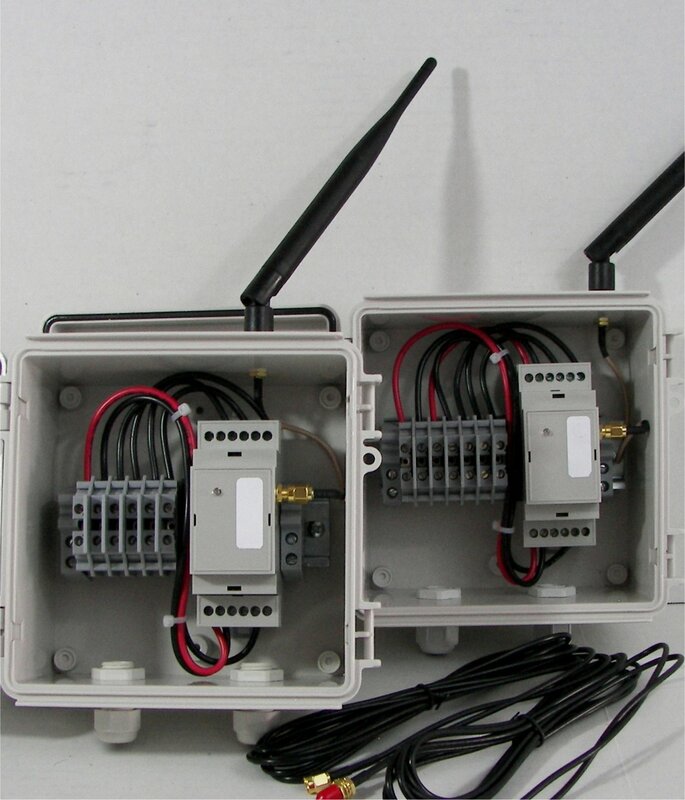 WCS-27FB Series - Wireless Remote Control System are pre-configured, pre-wired and ready to install. Units provide a fast, economical solution for wireless remote control of pumps, motors or valves up to 8 miles distance. Each unit features AC/DC power operation, wireless transmitter/receiver module, circuit breakers, din-rail terminal blocks and control relays. WCS-27A Series - Industrial Wireless Remote Control System features up to 16 seperate control lines. Series provides a fast, economical solution for wireless remote control of multiple pumps, motors, valves or lighting equipment. Models are available setup with 1, 2, 4, 8, 12 or 16 wireless lines that control relays or contactors up to 6 miles away (Line-of-site). Series WHHC-27 Wireless Remote Control System provides a wireless bridge between a handheld transmitter and a relay receiver control panel. When a switch on the handheld transmitter is pressed signals are sent via a license free radio signal to a receiver unit up to 2 miles (Line-of-site) away. When the control panel receives the proper wireless signals from the handheld transmitter 3 Amp control relays inside the panel are energized to operate remote equipment such as a pump, valve, motor, wench or gate. 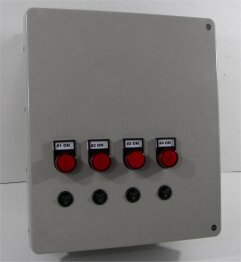 WVC27 Series - Wireless Valve Control Panel is pre-configured, pre-wired and ready to install. Series provides a fast, economical solution for wireless remote control of one valve at up to 6 mile distance between switch transmitter and relay control receiver. Each system features 12VDC, Solar or 120VAC operation, valve status indicators, wireless transmitter/receiver module, circuit breakers, din-rail terminal blocks and control relay. Series WCS24-MS - Wireless Remote Control System allows for remotely activating equipment from a distance of up to 1 mile using wireless 2-way 802.15.4 communication. The transmitter is equipped with contact closure inputs, used to control relays on the receiver unit. Models are available with 5, 10, 20 and 30 Amp mechanical relays. Transmitter can be activated with dry-contact manual switches or connected to a PLC for automated control. Approved for use in USA/Canada/Europe only. Series WCS900-MS - Wireless Remote Control System allows for remotely activating equipment from a distance of up to 6 miles using wireless 2-way communication. The transmitter is equipped with contact closure inputs, used to control relays on the receiver unit. Models are available with 5, 10 or and 30 Amp mechanical relays. Transmitter can be activated with dry-contact manual switches or connected to a PLC for automated control. Approved for use in USA/Canada only. 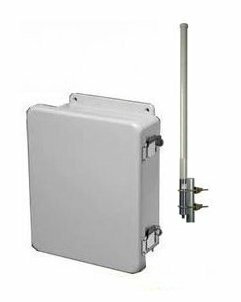 This Wireless 4-20mA Analog Transmitter/Receiver System allows for remotely monitoring or controlling equipment from a distance up to 1 mile away using license free wireless 2.4GHz 802.15.4 communication. Each set features one 4-20mA analog signal input and output. 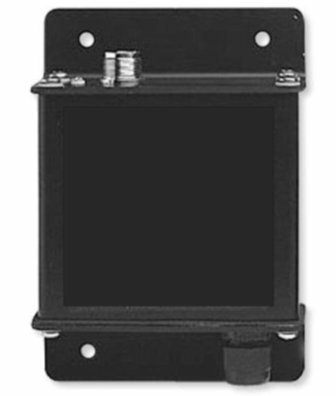 Features NEMA 4X Enclosures. The X24-WRC420 Wireless Analog 4-20mA Transmitter/Receiver System allows for remotely monitoring or controlling equipment from a distance up to 1 mile away using license free wireless radio communication. Each set features one 4-20mA analog signal input and output. Each system is sold as a factory programmed matched set. That means there is no field settings needed to operate right out of the box. Model DRWS-24-AV Wireless Analog Voltage Transmitter/Receiver Set provides a wireless bridge between any process voltage signal and a voltage input process monitoring or control Instrument. The voltage readings connected to the transmitting unit are sent via a license free radio signal to a receiver unit up to 1 mile (Line-of-site) away. The receiving unit reproduces an accurate analog voltage output that mirrors the voltage input signal to the transmitter. Four models are available with input/output ranges of 0-1, 0-5, 0-10 or 0-20V DC. Model DRWS-900-AV Wireless Analog Voltage Transmitter/Receiver Set provides a wireless bridge between any process voltage signal and a voltage input process monitoring or control Instrument. The voltage readings connected to the transmitting unit are sent via a license free radio signal to a receiver unit up to 6 miles (Line-of-site) away. The receiving unit reproduces an accurate analog voltage output that mirrors the voltage input signal to the transmitter. Four models are available with input/output ranges of 0-1, 0-5, 0-10 or 0-20V DC. This Wireless 4-20mA Analog Transmitter/Receiver System allows for remotely monitoring or controlling equipment from a distance up to 6 miles away using license free wireless 900MHz communication. Each set features one 4-20mA analog signal input and output. Features NEMA 4X Enclosures. Series WRSS-24 Wireless Switch/Control System provides a wireless bridge between a standard stop switch and a control relay. When the stop switch transmitter is activated a signal is sent via a license free radio signal to a relay receiver unit up to 600 feet (Line-of-site) away. 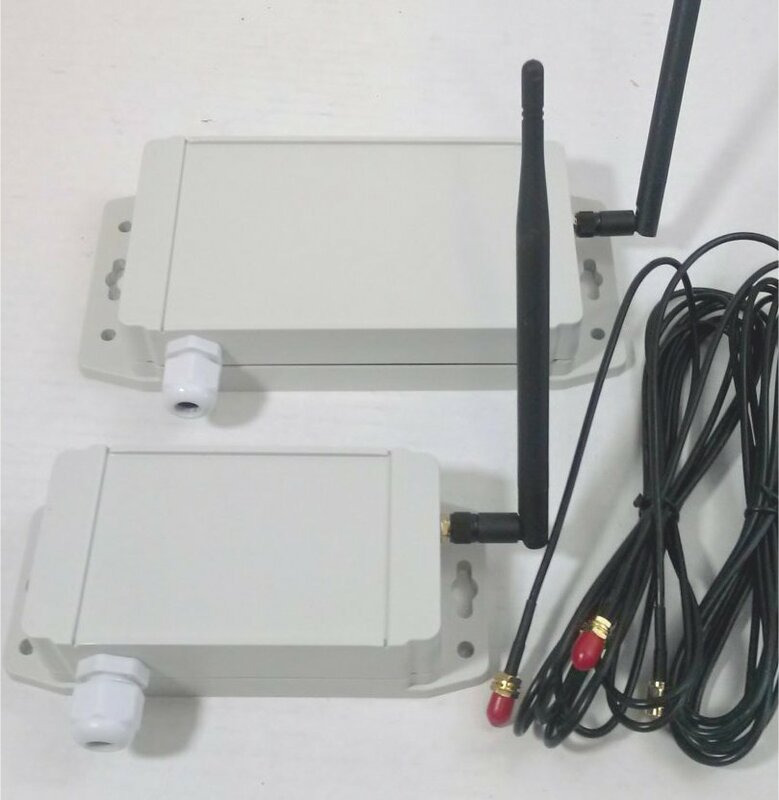 WPLSS24-MS Series Wireless Pulse Signal Transmitter/Receiver Set allows you to install and connect a standard pulse signal output device such as a water meter, turbine meter or paddlewheel flow sensor and send the digital pulse signal up to 1 mile away by means of a wireless RF signal. Models also include 1 or two relays that can be used to add alarms or control to your system. Product is approved for use in USA/Canada/Europe only. Series WRPBS-24 Wireless Push-button Switch/Control System provides a wireless bridge between standard push-button switches and a control relays. When the push-button switch transmitter is activated a signal is sent via a license free radio signal to a relay receiver unit up to 600 feet (Line-of-site) away. 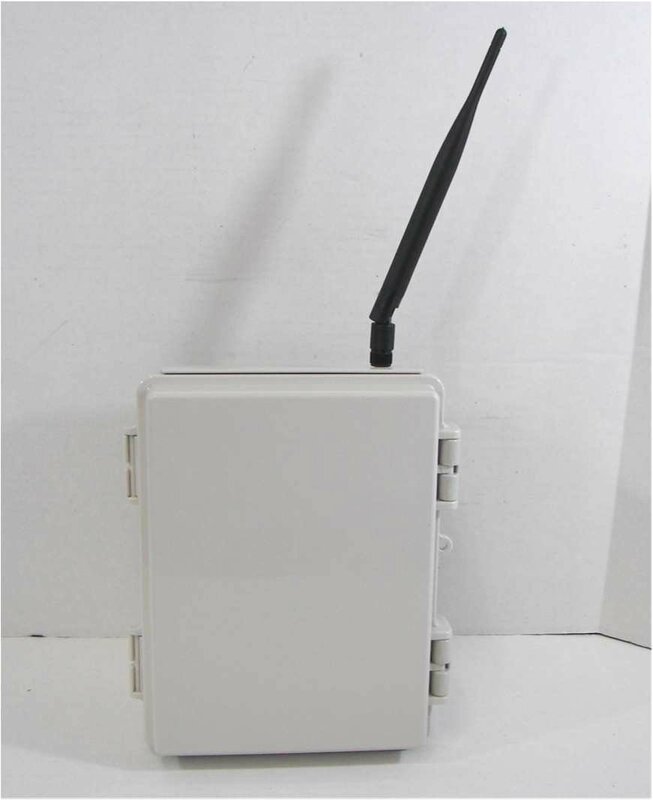 This Wireless 4-20mA Analog Transmitter/Receiver System allows for remotely monitoring or controlling equipment from a distance up to 1 mile away using license free wireless 2.4GHz 802.15.4 communication. Each set features one 4-20mA analog signal input and output. Both the transmitter and receiver are equipped with one contact closure input that is used to control a open-collector output on the opposing unit. 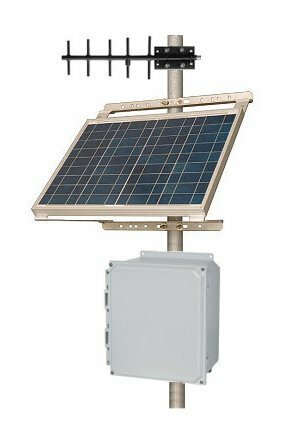 This Wireless 4-20mA Analog Transmitter/Receiver System allows for remotely monitoring or controlling equipment from a distance up to 6 miles away using license free wireless 900 MHz communication. Each set features one 4-20mA analog signal input and output. Both the transmitter and receiver are also equipped with one contact closure input that is used to control a open-collector output on the opposing unit. The DRWC-24 Series Wireless Remote Control System allows for remotely activating equipment from a distance of up to 1 mile away using license free wireless 2.4GHz 802.15.4 communication. The transmitter is equipped with up to four contact closure inputs that are used to control open-collector outputs on the receiver unit. Models are available with 1, 2 or 4 control lines. Transmitter can be activated with dry-contact switches or connected to a PLC for automated control. 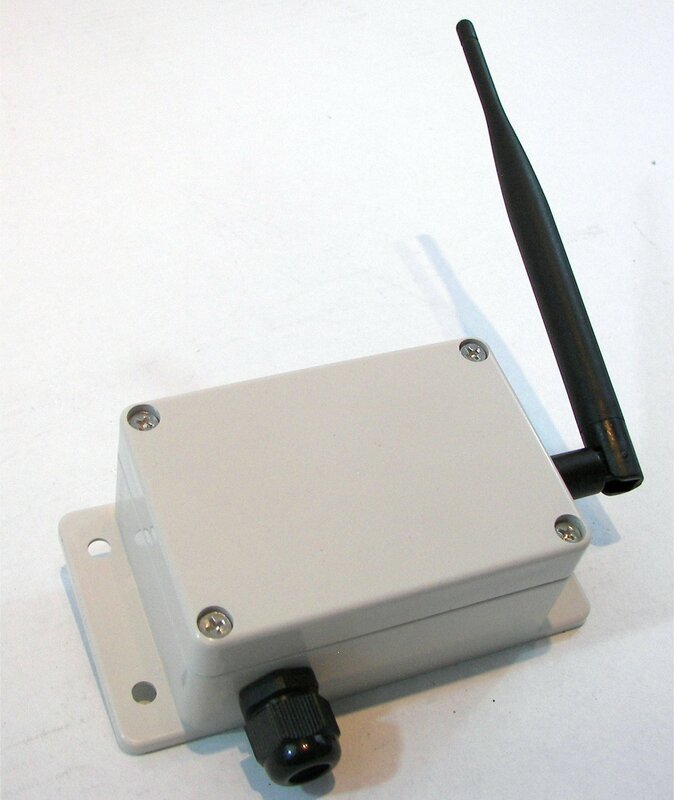 The WIDXL-24-420 Series Wireless 4-20mA Transmitter / Receiver System provides a wireless bridge for 4-20mA signals. You can send readings from industrial sensors up to 1 mile away by means of a wireless RF signal. A 4-20mA input measured by the transmitter is recreated by the receiver which in turn produces a mirror output. Units also include one bi-directional control line. The WIDXL-900-420 Series Wireless 4-20mA Transmitter / Receiver System provides a wireless bridge for 4-20mA signals. You can send readings from industrial sensors up to 6 miles away by means of a wireless RF signal. A 4-20mA input measured by the transmitter is recreated by the receiver which in turn produces a mirror output. Units also include one bi-directional control line. The WIDXL-24 Series Wireless Industrial Remote Control System for remotely activating equipment from a distance up to 1 mile away using license free wireless communication. The transmitter is equipped with up to 4 contact closure inputs that are used to control open-collector outputs on the receiver unit. Models are available with 1, 2 or 4 control lines. Units are activated with dry-contact switches or connected to a PLC for automated control. The WIDXL-2W-24 Series Wireless Remote Control System with 2-way operation allows for remotely activating equipment from a distance of up to 1 mile away using license free wireless 802.15.4 communication. Each unit is equipped with up to 2 contact closure inputs that are used to control open-collector outputs on the opposite unit of the matched pair. Models feature 1 or 2 control lines. 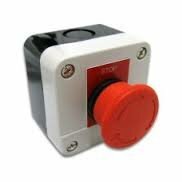 Can be activated with dry-contact switch or connected to a PLC for automated control and feedback. The WIDXL-900 Series Wireless Industrial Remote Control System for remotely activating equipment from a distance up to 6 miles away using license free wireless communication. The transmitter is equipped with up to 4 contact closure inputs that are used to control open-collector outputs on the receiver unit. Models are available with 1, 2 or 4 control lines. Units are activated with dry-contact switches or connected to a PLC for automated control. The WIDXL-2W-900 Series Wireless Remote Control System with 2-way operation allows for remotely activating equipment from a distance of up to 6 miles away using license free 900MHz communication. Each unit is equipped with up to 2 contact closure inputs that are used to control open-collector outputs on the opposite unit of the matched pair. Models feature 1 or 2 control lines. Can be activated with dry-contact switch or connected to a PLC for automated control and feedback. The DRWC-2W-24 Series Wireless Remote Control System with 2-way operation allows for remotely activating equipment from a distance of up to 1 mile away using license free wireless 802.15.4 communication. Each unit is equipped with up to 2 contact closure inputs that are used to control open-collector outputs on the opposite unit of the matched pair. Models feature 1 or 2 control lines. Can be activated with dry-contact switch or connected to a PLC for automated control and feedback. The DRWC-900 Series Wireless Remote Control System allows for remotely activating equipment from a distance of up to 3 miles away using license free wireless 900 MHz communication. The transmitter is equipped with up to four contact closure inputs that are used to control open-collector outputs on the receiver unit. Models are available with 1, 2 or 4 control lines. Transmitter can be activated with dry-contact switches or connected to a PLC for automated control. The XTR-WRC-900 Series Wireless Industrial Remote-Control System is for remotely activating equipment from a distance up to 6 miles away using license free wireless communication. The switch transmitter is equipped with up to 4 contact closure inputs that are used to control SPDT Relays in the receiver unit. Models are available with 1, 2 or 4 control lines.. The DRWC-2W-900 Series Wireless Remote Control System with 2-way operation allows for remotely activating equipment from a distance of up to 3 miles away using license free wireless 900 MHz communication. Each unit is equipped with up to 2 contact closure inputs that are used to control open-collector outputs on the opposite unit of the matched pair. Models feature 1 or 2 control lines. Can be activated with dry-contact switch or connected to a PLC for automated control and feedback. The WTLBC Series are Multi-color Tower Lights mounted onto a rugged plastic enclosure with wireless operated industrial control switches. Versions are available with an attached switch box or a remote cable between the light assemblies and wireless switch control box. 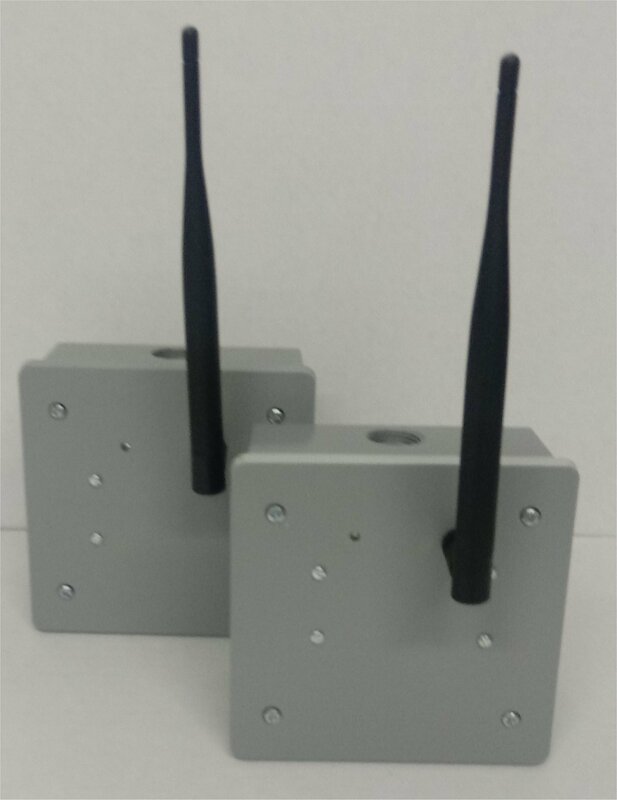 Two different wireless ranges are available with control distances up to 1 mile (LOS). Features include stainless steel mounting brackets, rotary or push-button switches and terminal blocks for power connection. Operating power options are 12V DC, 24V DC or 120V AC. Caution: Do not use Imagine Instruments LLC wireless products in any application where false, blocked or missing signals could cause injury or property damage. It is the responsibility of the user to add redundancy into the system so that the failure of any one component does not result in injury, loss of life or any form of property damage. Wireless systems should only be installed and maintained by trained professionals.